I write this post as two goalkeepers that I am close with are dealing with the heartbreak of long term injuries. For one player, it was just before a big college showcase which he missed out, and for another, it was the start of the club season after a successful High School season and being full of confidence. Dealing with injuries is as much a psychological issue as it is a physical one. Luckily, good friend, GKHQ partner and sports psychologist, Marty Walker is on hand with a list of thoughts and feelings that injured players may be going through. In this part 1, we help parents & friends who are close to the injured GK. It may also help the injured GK make sense of their thoughts. In part 2 we will look at some ways of coping with these feelings. Some thoughts of an injured goalkeeper. Isolation – Although the goalkeeper can be quite a lonely position anyway, an injury can lead to feelings of isolation as you are no longer involved in team activities. Envy – There may be an unwanted feeling of envy towards the player that has taken your place once injured. Envy is an uncomfortable emotion and is often accompanied by shame or guilt. Injured athletes should know that envy may be part of their experience, especially when an injury is serious and long-term. 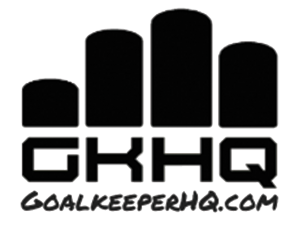 Anxiety – Goalkeepers can feel anxiety with both their sense of identity ( now that they are not playing ) and also in their ability to fully recover. Some studies even indicate symptoms of post-traumatic stress after an injury (O’Connor Sr., 2011; Brewer and Petitpas, 2005; Podlog and Eklund, 2007; Peterson, 2009; 1; O’Neill, 2008; Appaneal, Perna, & Larkin, 2007). The anxiety of not wanting to re-injure may also lead to overdoing any rehabilitation exercises thus actually hindering the recovery process. Fear of lack of ability – Linked to anxiety above, goalkeepers may fear that they may not return to the same ability or stronger than they were prior to the injury. When this happens, the goalkeeper may wonder if it is worth the hard work and battle needed to fight for the number one spot again. Depression – When an individual’s source of enjoyment is taken away via injury, it is not surprising that mood will be affected. Low Self-Esteem – Self esteem is often related to the identity you have on the field. A good goalkeeper is a leader, assured and an important part of the team. This identity can be challenged upon injury. Sense of relief – In some cases, when a goalkeeper has been under a great deal of pressure and strain to perform, being forced to take a break because of an injury can bring an unexpected sense of relief and even joy, even if this is not conscious. The relief may be a source of conflict for the goalkeeper though, and he/she may not be able to simply enjoy it. Rather, he/she may feel guilty for having such feelings and may try to hide them from others, especially coaches and teammates. As one author puts it, an injury “may function as an ‘honorable discharge’ for [athletes] looking for an excuse to leave their sport” (Peterson, 2009, p. 230). Go straight to part to of the article – How to deal with these feelings… Here.